This large house, on a spacious lot, is just 1 block from Avenida Cupules and Garcia Gineres. 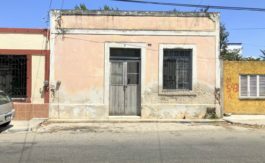 This is a great opportunity to have a Garcia Gineres type home in one of the next places to be gentrified (Colonia Yucatan) at less than half the price of comparable neighborhoods. 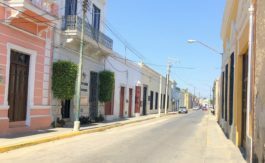 The street is extremely quite yet very well located being also 2 blocks from Circuito de Colonias. The house consists of a large living room, 2 large bedrooms, 2 bathrooms, roomy kitchen and dinning room. This can all be opened up to the large garden, full of various citrus trees, where there is room for a pool. There is a large garage, no shared walls with neighbors, small garden areas on the street side and lots of space for an expansion. based upon asking price of 1,800,000 MXN.